Immediate: Choose a Problem you confronted this turn. If there are no opposing Friends at that Problem, score a point. 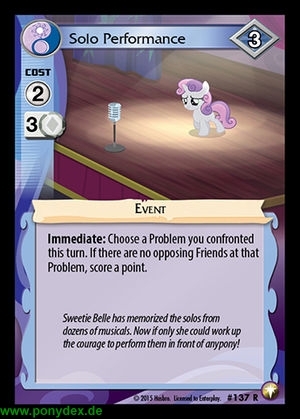 Sweetie Belle has memorized the solos from dozens of musicals. Now if only she could work up the courage to perform them in front of anypony!